Ajax has already fought three Eredivisie matches. After a thrilling 2-2 draw against AZ, they have made two comfortable wins against NEC and NAC (6-1 and 5-0 respectively). Although nobody knows what's gonna happen until the very end of August, the transfer market is almost closing. The squad is almost fixed now, though there are some missing pieces of a reserve striker and a right winger. It was almost predetermined that Vetonghen would leave this summer, so I just hope he shows impressive performance at the Spurs. However, as you may already know, Anita and Janssen also decided to leave Ajax. This was a sad thing, but Ajax has also focused on doing a good shopping in the market, as well as selling talented players abroad for their desired prices. So let's see the new faces so far. His transfer to Ajax was already determined during the last season. He came to Amsterdam on a free transfer. I think it's fair to say that Ajax was very lucky. It is clear to everyone's eyes that he is a great midfielder who can play multiple roles. He can assist goals, but he can also score a goal from a long distance. After Vurnon Anita left for Newcastle United and Theo Janssen openly expressed his desire to go back to his former club Vitesse, Schøne has played as a holding midfielder. So far, so good. This young winger, who holds dual citizenship of Sweden and Burkina Faso, was transferred from the famed Swedish club IFK Göteborg for an estimated fee of 350,000 euro, and quickly became a big surprise for all Eredivisie watchers. Indeed, his performances in the last three matches were totally amazing, scoring three goals and assisting one. Sana can give a good rhythm to Ajax attacks. He is fast, skillful, never stops running and also has a good vision. Of course he has to develop in terms of his understanding of the tactics of Ajax, especially with regard to the combination with side backs. But still, he can be a true phenomenon this season. Former captain of AZ finally decided to sign a three year contract at the reigning Eredivisie champions. He once belonged to the reserve team of Ajax, but failed to be promoted to the top team. After the departure of Jan Vertonghen, he is perhaps the best center back in the Eredivisie. He is a genuine Ajax-type center back who can both defend and build attacks, and his leadership and experience were desperately needed for the very young squad. Furthermore, his three year contract is ideal for Ajax as well, because, within three years, a log-term heir of Vertonghen will certainly develop. Stefano Denswil is the most likely candidate for that post. 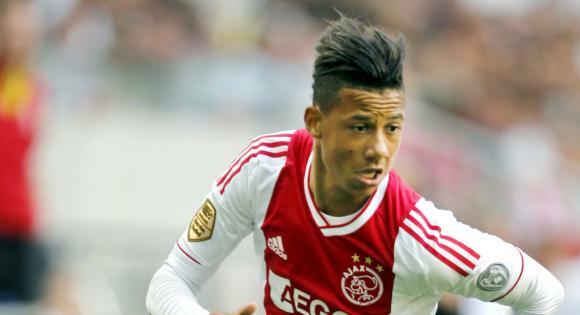 Ajax recently announced that Poulsen signed a deal until 2014. Like his Danish compatriot Schøne, he came to Ajax on a Bosman. He will be the most experienced player in the squad, having played in almost all major European football leagues. Many see him as a squad player who advise young players with his experience, like last year's Ooijer. I've seen many people saying that he is not expected to gain much playing time, but now that there is no defensive midfielder proper in the squad, he will fight a healthy competition for the position against Schøne and perhaps Serero. This is also a very good signing for Ajax. More players might come to Amsterdam, but so far, I think Ajax has made right decisions in the market. Let's make our fingers crossed for their 32nd Eredivisie title.